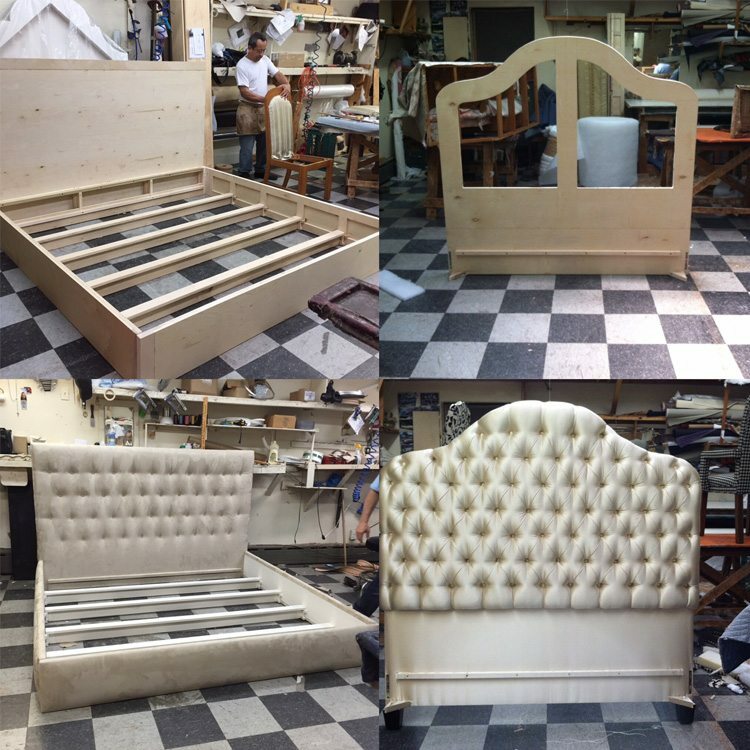 There are so many choices when it comes to designing a custom headboard. Selecting the specific size, favorite color, desired shape and best fabric can be hard. We’re here to help! Customize your bedroom with a soft and fashionable upholstered headboard for sweet dreams and a beautiful finishing touch. 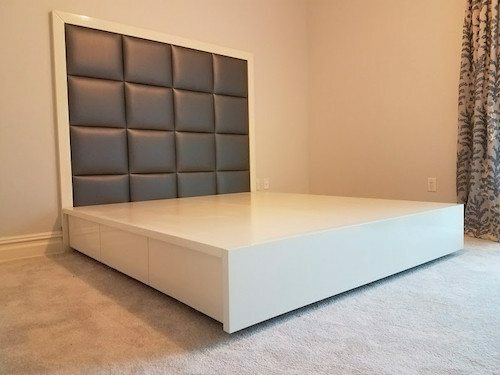 Add luxury and comfort with an upholstered headboard. They come in a variety of shapes with coordinating fabrics to complement your bedding and other bedroom decor. 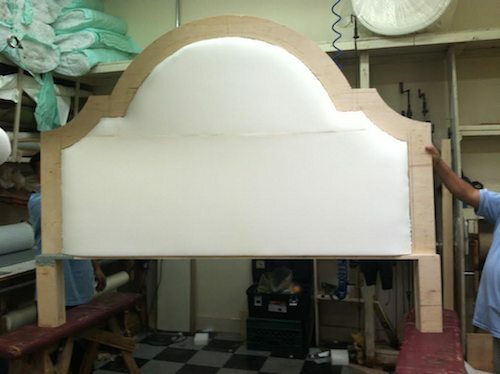 We can transform your ideas, or your photos into beautiful custom headboards. 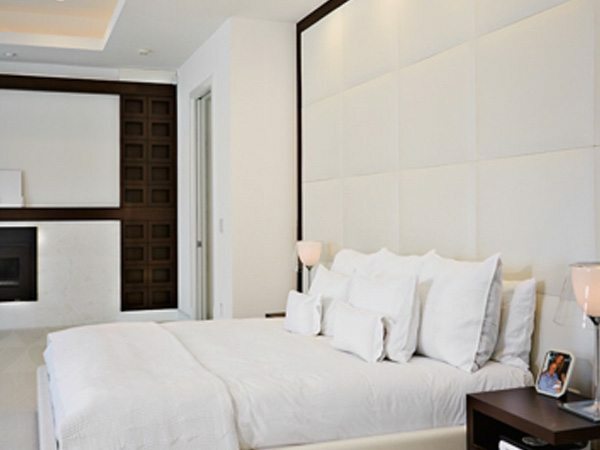 United Decorators handcrafts custom headboards for a perfect fit that suits your style and space. Turn your bedroom into the ultimate sanctuary. 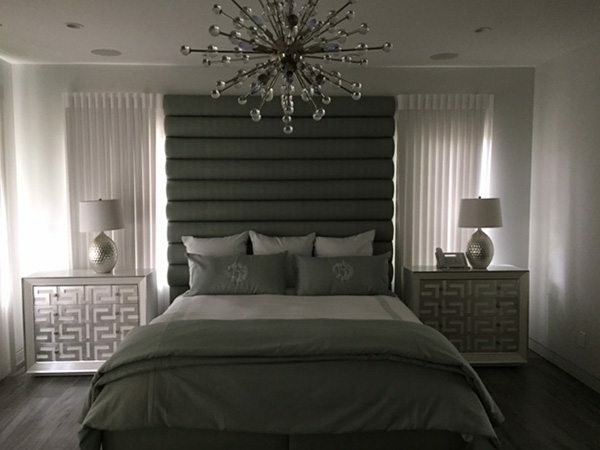 Are You Ready To Create Your Dream Bedroom? We Offer FREE Design Consultations! We can help you have sweet dreams every night – with a bedspread that complements your bedroom decor. Custom bedding can turn an ordinary bedroom into extraordinary. We offer custom comforter sets, custom duvet covers, custom linens, custom bed sheets, custom throw pillows, and custom bed covers. All are available in a wide variety of styles, colors and fabrics. With choices from Waverly, Ralph Lauren, Laura Ashley and many more we are sure to have just what you want. 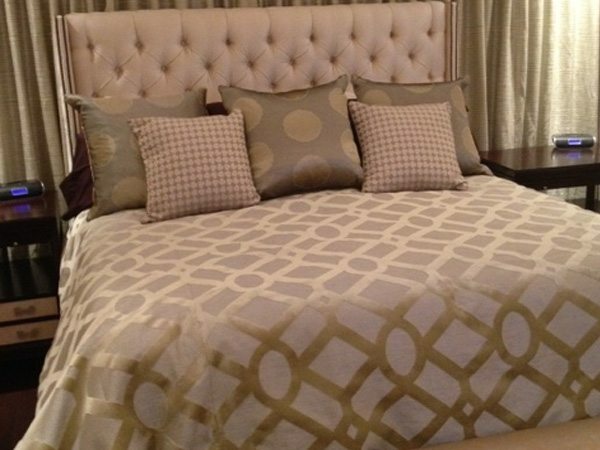 Let our experienced staff help you select the perfect bedspread, bed skirts & sham to match your bedroom decor. Contact us today! 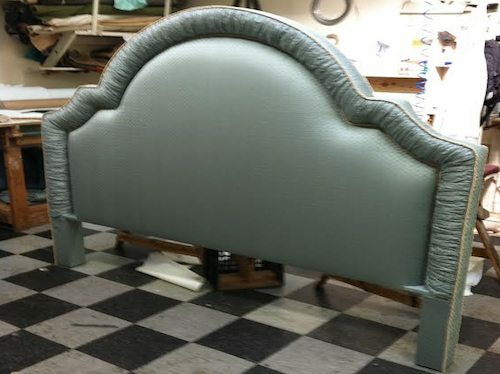 Custom Bedskirts have been historically thought of as traditional. Bedskirts were widely used to cover bed frames and posts. Today, bedskirts are more than dust collectors and ways to cover bedroom furniture. You can make a beautiful design statement with a custom bedskirt. 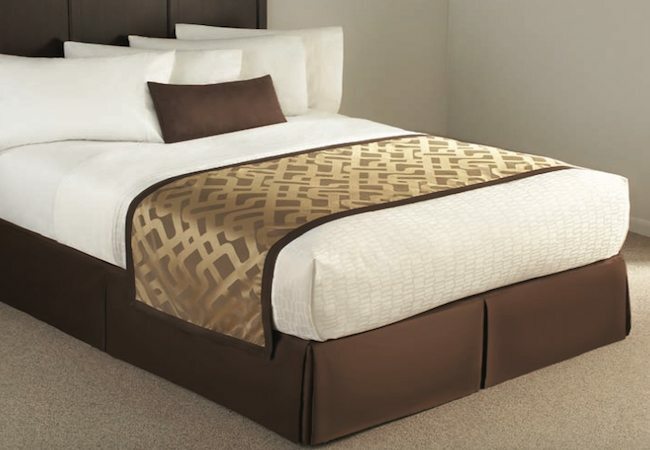 Custom bedskirts can highlight your overall bedroom ensemble to create a fashionable look. Bedskirts can be simple or chic. You can choose bedskirts with floral patterns fabrics, graphic designs, solids or stripes in various pleat sizes and styles. Cotton, linen, velvet, mircrofibers and more, surround your bed with the very best in softness, durability and beauty. 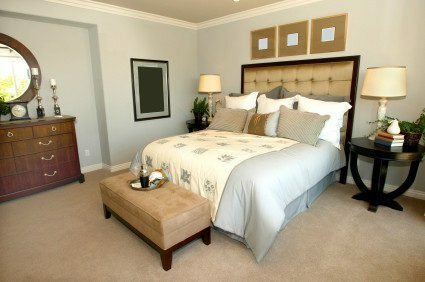 United Decorators will help you create a custom bedroom skirt that’s unique to your room and personality. After all, you deserve to relax in a place that brings you total piece and comfort. Ready to transform the look of your home or office? Contact United Decorators for your FREE design consultation. Sign up to receive design tips and promotions.